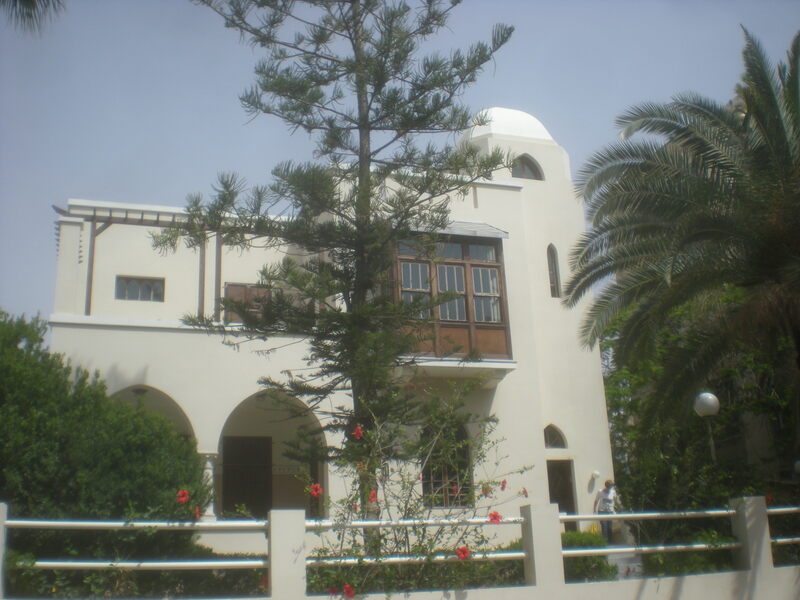 Anyway, the last Israel Mystery Photo was correctly identified by my classmate, Daniel, as the former home of Israel’s national poet, Hayim Nahman Bialik. A Zionist and immigrant to Israel, Bialik was at the center of the burgeoning literary scene in early 20th Century Tel Aviv. That culture was part of an extended class of Jewish literary figures in Europe and Palestine, and many of the individuals moved back and forth between the two areas. Other members of this group included Ahad Ha’am and Israel’s first Nobel laureate, S.Y. Agnon. As a person who comes from a writing background, I must admit that I’m somewhat embarrassed by my lack of familiarity with Israel’s literary luminaries. But I am making an effort to fill in these gaps in my knowledge, because their works form an important segment of this country’s cultural heritage. And the more familiar I am with this cultural heritage, the better a guide I will be. This portion of our country’s past is no less important than its religious, archaeological or historical legacies. Perhaps Bialik’s most famous poem was “In the City of Slaughter.” It was written in response to the Kishinev pogrom of 1903, spelling out the horrors of the antisemitic riot. (I recommend clicking that link and reading the poem.) It could be seen as a precursor to the later complaints in connection to the Holocaust, claiming that Jews too frequently went “like lambs to the slaughter.” And it was this very attitude of “the old Jew” that many of the early Zionist pioneers railed against, forming such paramilitary precursors to the IDF as the Hagana, Irgun and Lechi. 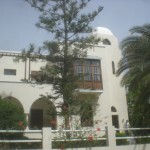 But built in 1927, the Bialik house is more in the Eclectic Style that was prevalent in Tel Aviv from around 1924 to 1929, prior to the emergence of the International Style. As Benny — who admittedly cheated and should be ashamed of himself 😉 — noticed, the building is heavily influenced by Islamic architecture. But it also clearly marries the style with more western architectural elements. It now holds a museum dedicated to Bialik’s life and work. My first guess is Arbel Mountain. I never went to Hayim Nahman Bialik’s home but my kids went there twice (they are much more cultured than I am), I should have showed them the last mystery picture. Mt. 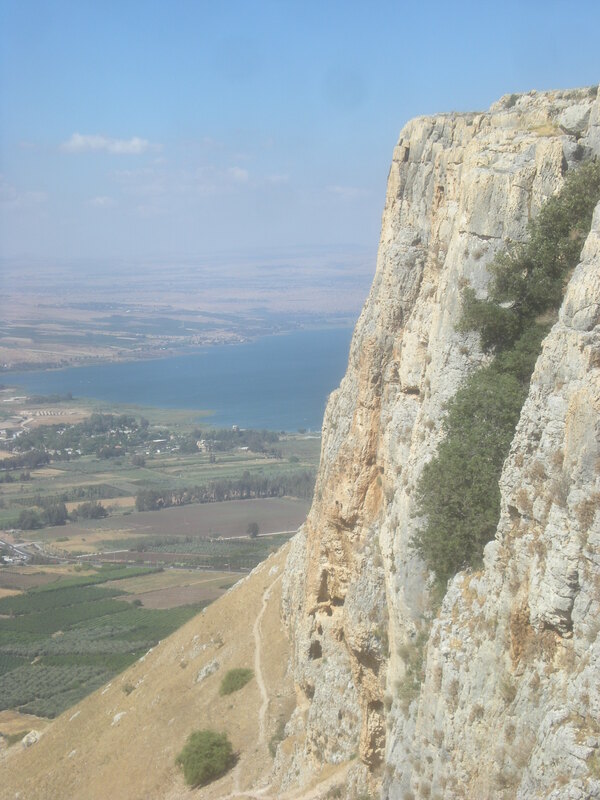 Arbel overlooking the Kinneret. Does one answer here or privately? Leave your guesses in the future on the post itself. Since I was holding the comments in moderation until I posted the new one, I couldn’t tell you that here. But now I can! That’ll be the cliff of Arbel, looking east towards Ginnosar and the Kinneret. Laura Ben-David recently posted…1000 for One: Is It Worth It? So that definitely looks like a view of the Kinneret – what looks like the east side of it (I know when you drive past like the Ein Gev-ish area – the road where the Doris Katzavim farm is there’s like a hill where you can take pictures). Maybe there? While I’m pretty sure that’s the Kinneret – that’s exactly the view from my sister’s kibbutz on the Gilboa…so that’s my second guess.